Owen Ogletree gathered local craft beer lovers Ian Meents, Dean Graves, Gail Graves, Ashton Smith, Jeff Rapp, Kim Swantek, Mark Hall, Thel Melton, Melissa Melton, Pete Dasher and Georgia's Beer Wench to sample six cheeses - each paired with two outstanding Georgia beers (with a couple of guest beers from other states thrown in for fun). OUR FAVORITE WITH THIS CHEESE! The mild, tart flavors worked well with the cheese. Coriander and salt complemented the cheese. Mild citrus, salt and spice. A marvelous beer with complex, pleasant flavors. Needs a heavier cheese. The beer is a bit too acidic for the chevre, and the oak tannins seem to wipe out the chevre flavors. Great citrus aroma and flavor with a pleasant bitter finish. The salty, sharp cheese seems to cover the elegant hop notes of the beer. Mineral notes in beer go well with mineral quality of the cheese. Rich malt and hops are a good match for the cheese. Biscuity notes go well. Floral, spicy hops are beautiful with the dry, spicy cheese. Gorgeous example of the classic style with delicious malt. Caramel and biscuit notes go well with the nutty cheese. The rich malt and smoky notes conflict with the nuttiness of the cheese. This tasty beer needs a cheese with somewhat stronger, malt-like flavors. A fine beer with strong coriander spice in the finish. Great malt and Belgian fermentation character. Works quite well with the nutty, buttery, thick cheese. The somewhat mild malt and rye flavors of this beer don't stand up as well to the rich cheese. Complexity of the cheese overpowers the beer a bit. This beer's fruity quality is quite pleasant but might be too much for the cheese. The complexity seems to cover the funkiness and creaminess of the cheese. Tropical fruit, beautiful acidity, quite lambic-like. A light, slightly sweet malt note balances the subtle, yet complex, acidity. It's a nice contrast to the cheese. A delicious porter with lovely dark malt complexity. This well-made ale goes down really well. The roasted malt notes cut the complexity of the blue cheese, but the beer's flavors are a bit light to stand up to the bold stilton. The richness of this malty brew pairs well with the funky cheese. Nice vanilla barrel flavors complement the cheese. Most people thought the strength of the beer matched the cheese. 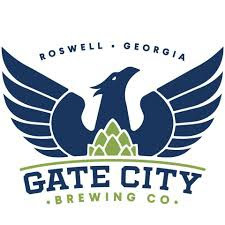 The Brewers Association's decision to hold its 2018 Craft Brewers Conference, America's largest craft brewing industry gathering, in Nashville confirms that "Music City" has evolved into a southeastern craft beer hub. 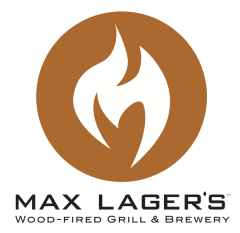 Want a world-class beer to go with hot chicken, barbecue and country tunes? Nashville is the spot. Following is a run-down of a few central Nashville breweries worthy of a visit. 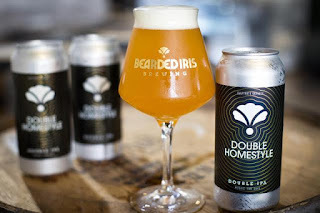 Inspired by the Tennessee state flower that exhibits a expansive range of attractive colors and patterns, Bearded Iris takes pride in providing Nashville with a range of creative brews. "Ultimately, we recognize that each beer drinker is unique," remarks Bearded Iris' Chandra Grubbs. 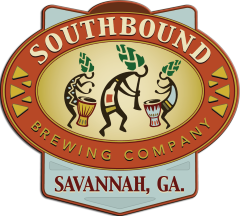 "We hope that our beers meet our drinkers where they are and deliver the experience they seek. 'Cultivate variety,' is our driving philosophy behind not only the beers we produce but in regard to our interaction with the Nashville community. It can sometimes appear that we don't offer much variety when our draft list skews almost exclusively toward fruit-and-juice-forward IPAs and double IPAs, but what we're chasing is subtle and nuanced hop layering. That being said, we also like to introduce new styles to our repertoire, and we've been having fun with oatmeal stouts and barrel offerings lately." Named after the monastery where Martin Luther wrote his 95 Theses, Black Abbey Brewing houses a "Fellowship Hall" taproom designed to feel like part of a monastery. In today's creative and somewhat outrageous craft beer culture, Black Abbey takes pride in producing mostly Belgian-influenced beers that are flavorful, yet balanced and approachable. Taproom visitors can choose from a range of brews such as The Rose Blonde Ale, The Special Dubbel, The Champion American Pale Ale, The Five Points IPA, Chronicles Oktoberfest and Krampus Nacht Bock. The Black Abbey brew crew. The foundation of Corsair's creative and diverse beer range focuses primarily on barrel-aging, ancient beer recipes, high gravity brewing, and the exploration of alternative grains. "Our goal has always been to do what others are not doing or haven't done, so fitting in has never really been our style," explains Corsair's Chris Thomas. 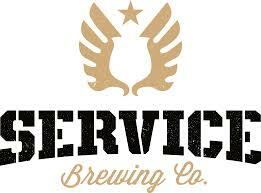 "We've been brewing high gravity beers since our inception, due to our distilling license that allows this practice. Considering high gravity laws have just recently changed for breweries here in Nashville, we are a few years ahead of the trend. An interesting fact is that we brew on a one-barrel system. What most larger breweries use for research and development, we use for all of our production. This means that our beer is only available in our taproom." 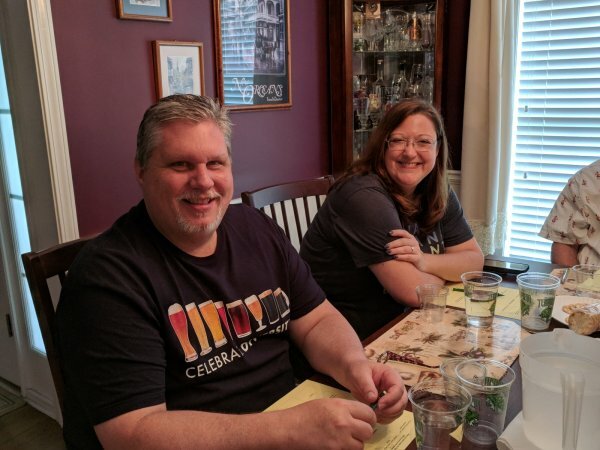 Ken Rebman, founder and brewer of Czann's, started homebrewing in 1997, got involved with the local Music City Homebrewers club and worked diligently at creating and refining beer recipes. When his day job got in the way of homebrewing, Rebman decided to follow the advice of thirsty friends and opened a commercial brewery. Rebman explains, "We place an emphasis on brewing flavorful beers for the brewery's taproom and local wholesale accounts. 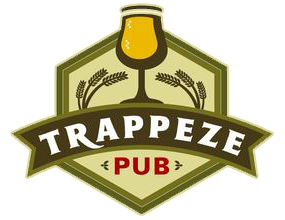 Czann's was founded with support and encouragement from local homebrewers, friends and businesses. 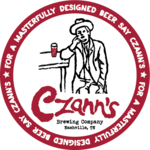 We like to say that Czann's is a Nashville brewery, not just a brewery that got started in Nashville." 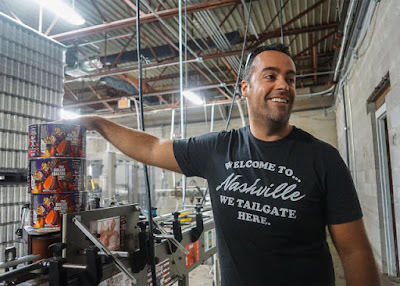 Opened in 2016 by Anthony Davis and Sean Jewett, the focus of East Nashville Beer Works revolves around its community taproom located in the thriving neighborhood of East Nashville. 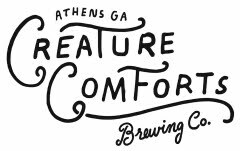 Our goals were to create a unique space with great beer in a multitude of styles and serve as welcoming hosts," notes Anthony Davis. "Our taproom became the community gathering space we dreamed of, with a full food menu and inviting outdoor space with a beautiful beer garden and family-friendly vibe. Our motto is 'Beer is Community.' 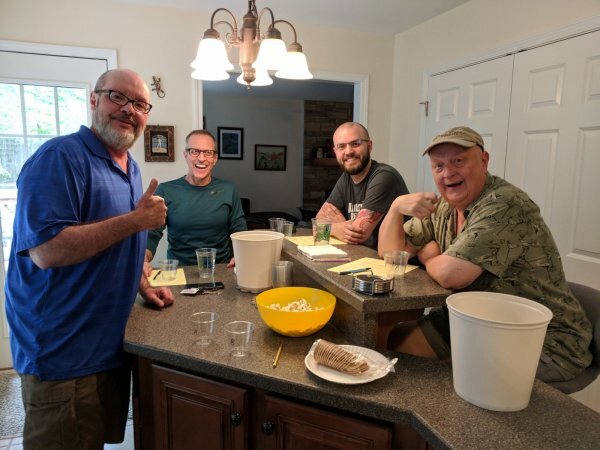 We make a fantastic blonde ale, American wheat, killer IPA and a big range of other interesting ales, and we are doing our first true barrel-aging this year." Jackalope's popular craft beers create connections with the local Nashville community to bring a diverse group of people together in its taproom for conversation and camaraderie. 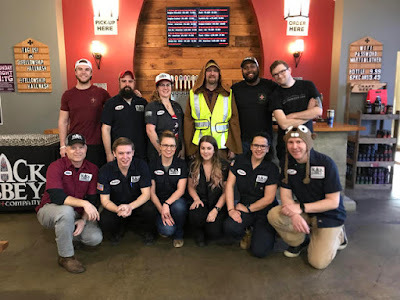 Jackalope's Bailey Spaulding notes, "Folks have come to know us as a brewery with balanced, year-round brews as well as creative seasonals, and our local consumers know us as a brewery that likes to have fun and be involved in the community. Walker Hayes, a Nashville musician, even wrote a song about Jackalope." 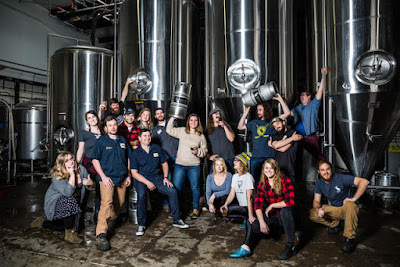 The jolly staff of Jackalope Brewing. Kevin Antoon and his two brewery co-founders met years ago at a tech company where their boss taught them how to brew. 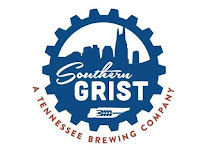 In two years time, the guys resigned to open Southern Grist, and their former boss ranks as one of the brewery's best friends and biggest supporters. "Southern Grist is all about creativity with our recipes and branding," Antoon points out. "Our daily focus is on experimentation - what's working and what's not working, based on feedback, and what our next creative brew will be. This helps us appeal to all palates. Everyone has their own niche in the Nashville craft beer market, and by no means do we think it's overcrowded. Our goal is to simply put out the best products possible and have constant tap rotation in our East Nashville location and our new Nations spot. We don't distribute, because we don't want our beer everywhere. 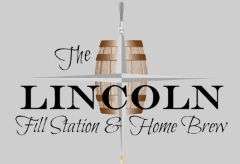 We want people to come to a great environment and learn about the beers from our founders and staff." TailGate brewed 174 different beer brands last year, with the entire brewery team coming up with quirky recipes and names that pay homage to Nashville culture and landmarks such as Woo Girl, Pedal Tavern, That Roller Coaster Thing, Naked Statue and Look at These Sticks. Brewmaster/owner Wesley Keegan believes in adding to the Nashville community by doing his own thing. "Variety is exactly what craft beer is all about," he says. "When we started 11 years ago, taprooms weren't common, but now they're critical. We developed our taproom to connect with our guests, and made a point to open seven days a week. We also incorporated a restaurant with pizzas, sandwiches, salads and appetizers. Our taprooms are family-friendly, and our events are always free." Wesley Keegan, owner & brewmaster of TailGate Brewery. By incorporating Tennessee agricultural products whenever possible and minimizing waste, Tennessee Brew Works makes environmental responsibility a major priority. Another goal is to create impressive craft beers that are truly a part of Tennessee through ingredients, branding and even the taproom décor and music, which comes together as a celebration of Tennessee culture. Tennessee Brew Works' Christian Spears states, "We were the first brewery in North America to utilize the Meura Micro Mash Filter to create our brews and foster a greener brewing process. We extract almost 100% of the sugars from our malt and utilize a centrifuge which dramatically improves recovery of beer from the fermenter, increasing overall batch yields." Nashville locals consider Yazoo's Linus Hall as one of the pioneering godfathers of the city's rapidly expanding craft beer scene. 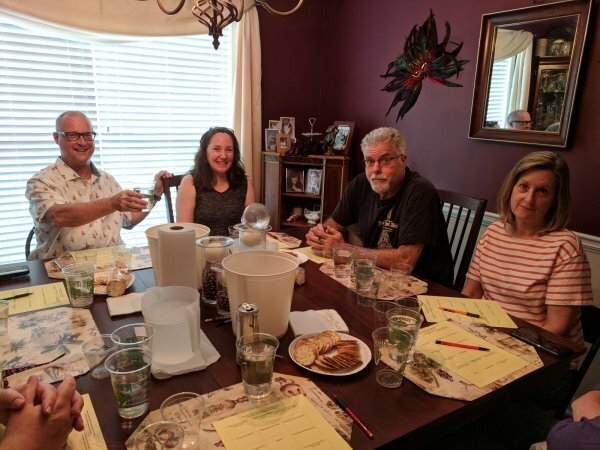 Hall also acts as an activist within the Tennessee Craft Brewers Guild, making positive legal changes that benefit the state's craft breweries. Hall adds, "Back in 2003 in Nashville, local beer was a novelty, something you got if you went to a brewpub. Nowadays, it's still our goal to make accessible, sessionable beers and get them into as many hands as possible. While our mainstay beers have served us well for fifteen years, we are also pushing boundaries with our seasonals and our Embrace the Funk series. Yazoo even brewed the first legal high-alcohol beer in Tennessee since Prohibition - our SUE Imperial Smoked Porter. We had to get a Tennessee distillery license to do it!" Time permitting, also check out the long-running Rock Bottom brewpub in the heart of touristy downtown. The perennial Blackstone Brewing closed its iconic brewpub but now brews at a production facility on Clifton Avenue. Honky Tonk Brewing offers an entertaining taproom on Cumberland Bend north of downtown, and Smith & Lentz Brewing's tasting room is open seven days a week in East Nashville. Fat Bottom Brewery's new location in The Nations area offers an extensive range of beer styles, while New Heights is open less than a mile from downtown and pours beers and specialty ciders. Finally, head just north of downtown to Little Harpeth Brewing for a taste of corny Chicken Scratch Lager and other eclectic house brews.